A San Jose neighborhood fears it's becoming a dumping ground for stolen vehicles, and one man said he even caught the problem on camera Thursday morning. Neighbors who live around East San Fernando Street, near Santa Clara Street, point out the area has two major streets that create a dead end for traffic and apparently for investigations. Residents of the neighborhood are used to calling police to report abandoned cars that turn out to be stolen. 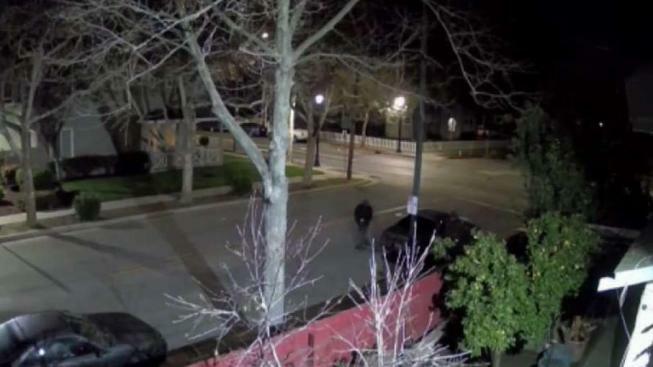 In one resident's home security video, two men are seen dropping off a car on East San Fernando around 1:30 a.m. Thursday then returning later to switch vehicles and drive off again. Several residents say they have repeatedly reported cars that turned out to be "hot," and they’re frustrated by it. "I suspected at the time that something was going on, and in fact, there was a stolen car and a couple of criminals," said Jeff Levine, Roosevelt Neighborhood Association vice president. "And it’s happened on a number of occasions around here." Neighbor Stephen Coldwell added: "It’s usually not a nice car. It’s usually some broken down car, dented up car, just ugly. It bothers me to look out your door and see that." Another resident says the fact there are two major dead ends, including one with limited lighting, makes it easy to dump vehicles without being seen..
"On the corner, it’s clear right now because I called police, and they took all the cars out of there," Alejandro Ayala said. Police provided a map revealing the location of vehicles stolen during the past 30 days, and it shows the problem is widespread. But the Roosevelt Neighborhood Association ironically shows very few thefts because the map indicates where vehicles are stolen, not where they’re abandoned. "It’s the perception that this is a safe area for criminals to dump stolen cars," Levine said. The neighborhood association is now meeting regularly with the police. Residents say they’ve noticed more patrols in the area and are encouraging neighbors to be more vigilant and report unfamiliar vehicles immediately.